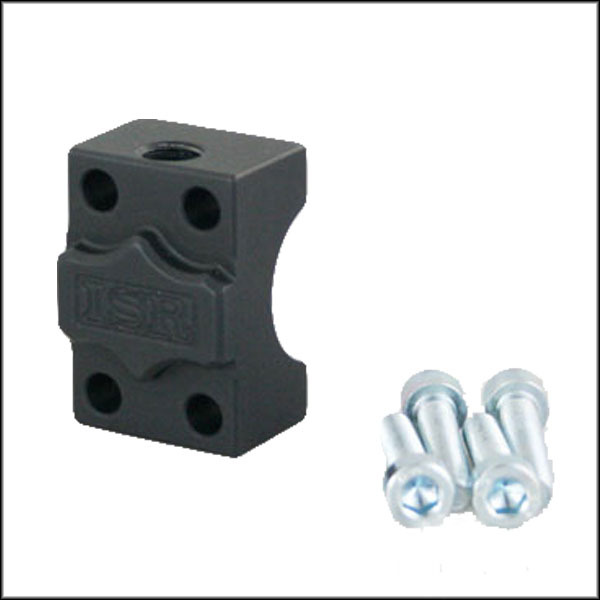 ISR Replacement Handlebar Clamp with Mirror Mount Thread. Finally a clean way to add a mirror to ISR Hand Controls. Uses any standard Metric (10×1.25mm) Mirror Adapter and replaces the original handlebar clamp (fits 1″ handlebar diameters). Available in Clear or Satin Black Anodized to match our ISR Hand Controls.Sold each.